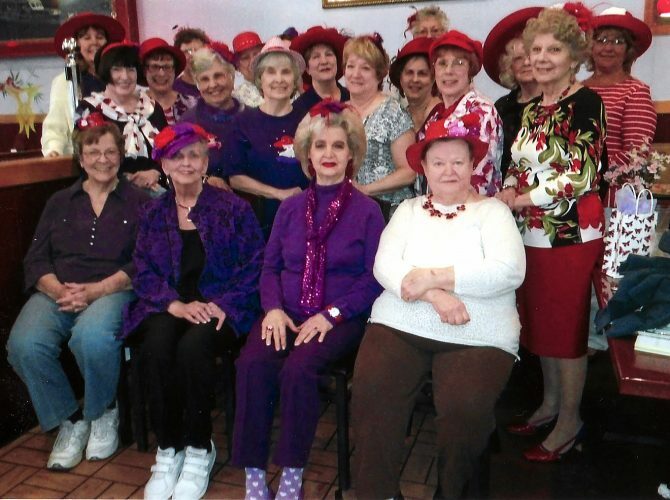 WINTERSVILLE — The Wintersville Woman’s Club is coming down the home stretch for its 2018-19 meetings with only two left before the summer hiatus. Thursday’s noon luncheon and business meeting at St. Florian Event Center features the club’s annual in-house fundraiser, the “Make It, Bake It, Take It” auction where members contribute a variety of items, then sell them, with club member Lil Ferguson serving as auctioneer. Revenue generated for everything from plants to baked goods help fund the club’s varied community endeavors, including a reception members host for GED graduation ceremonies at Eastern Gateway Community College. The final meeting May 16 wraps up with a noon luncheon and business meeting as well, only this one will be at Le Chateau Pier in Smithfield, as the guests of owner Todd Piergallini at his new business venture. The program will feature Esther Gartland, GFWC/Ohio Federation of Women’s Clubs, director of junior clubs. The topic will be the Operation Culinary Canteen program, the emphasis of the GFWC president with the USO as the benefactor. USO is an acronym for United Service Organizations, which provides morale, welfare and recreation-type services to uniformed military personnel. The USO of Northern Ohio travels to installations during drill weekends to serve lunches and breakfasts to the troops. Generating money for a food truck/mobile canteen or food trailer is a goal. 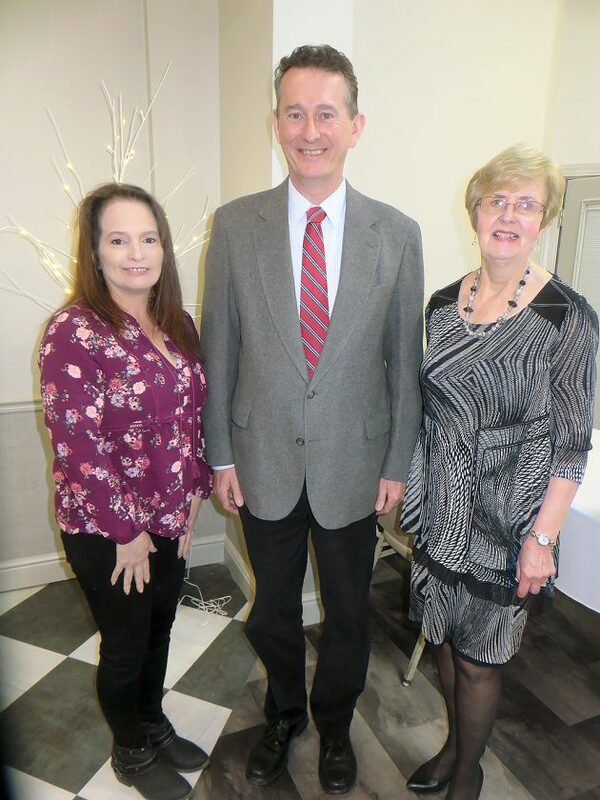 The May meeting also will include the induction of several new members, some of whom were introduced when the club held its March 21 meeting during a busy week as it also included hostess duties for the annual GFWC/Ohio Federation of Women’s Club’s Southeast District Legislation Day. Judy Weaver, membership chair, read bios on newcomers, including Debbie Rodrieguez, Shannon Irvin, Jan Freshwater, Marci Cingolani, Marilyn Izzi, Janet Hoobler and Mary Lucille Smith. Mike Gray, director of the Public Library of Steubenville and Jefferson County, gave the program at the March meeting. It was about Dr. Seuss, a.k.a. Theodor Seuss Geisel, who was an American children’s author, political cartoonist and animator. He is known for his work writing and illustrating more than 60 books under the pen name Dr. Seuss. One of GFWC international president’s Seven Grand Initiatives for its 2018-20 administration is for clubs to donate Dr. Seuss books to children in need. Mary Beth Allan, club president, presided at the meeting where Tyra Timmons, second vice president, led in opening exercises. 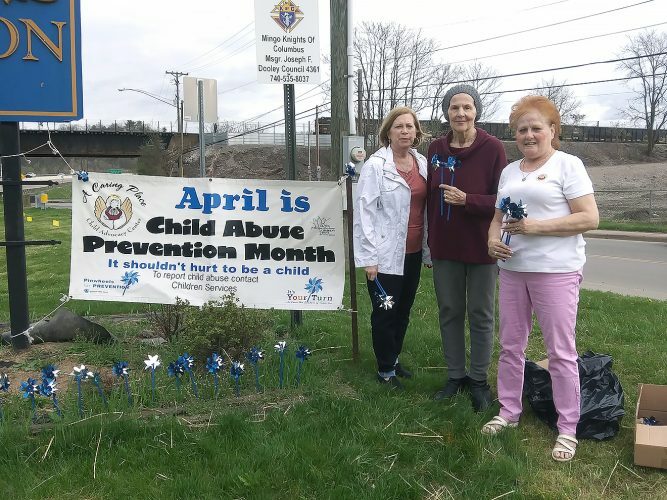 Reports were given by Joan Doan, recording secretary; Karen Hill, treasurer; and Aimee Jaros, corresponding secretary, who noted among thank-you notes received was one from Wintersville United Methodist Church for a gift given in memory of club member Juanita Wallace. The club is taking a pro-active approach to reminding current members and newcomers about what the GFWC is on a broader and closer-to-home scale. Club member Marjean Sizemore, GFWC Ohio first vice president, explained that the General Federation of Women’s Clubs, abbreviated GFWC, also is a member of the GFWC Ohio Federation of Women’s Clubs, united by dedication to community improvement service through volunteer service. 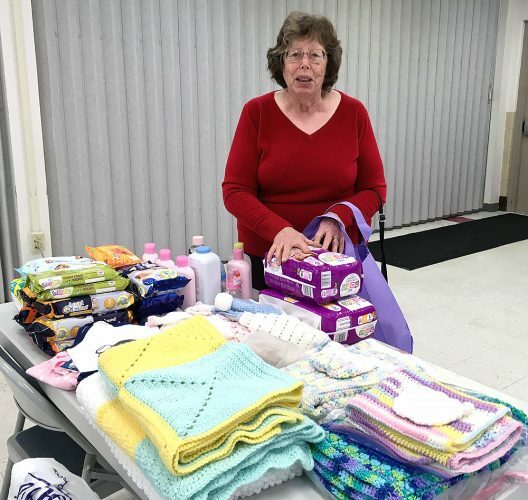 “GFWC clubs are encouraged to focus efforts on activities that meet local needs, all united under an umbrella of program areas whose flexibility has provided a framework for more than 125 years of accomplishments,” Sizemore said. “The GFWC is one of the world’s largest and oldest women’s volunteer service organizations, working locally through thousands of clubs in the United States and globally in more than 20 countries. GFWC members support the arts, preserve natural resources, promote education, encourage healthy lifestyles, stress civic involvement and work toward world peace and understanding,” she continued, acknowledging how six tables in the room had centerpieces and decorations to give a flavor for the local club’s six service community projects. Those are the arts, conservation, education, home life, public issues and international outreach. “The clubs shape their local agendas to fit particular needs so we are operating within our community. Each local chapter benefits from membership, service materials and program support from state and national federation levels,” Sizemore said. The GFWC headquarters is in Washington, D.C., a national historic landmark that houses the women’s history and resource center. The Wintersville Woman’s Club was formed in 1934 by eight women who met Nov. 9, 1934, to organize the club. “They elected officers, chose a name and a purpose,” Sizemore said. During the summer months, they wrote the constitution and the bylaws. The first meeting was held Dec. 13, 1934, and it was federated with the state and the general federation in 1935. Sizemore said the club motto is “Deeds, Not Words,” and the flower is the yellow rose. “On a national level, GFWC is a community service organization with many levels of leadership and membership. They have an executive committee and a board of directors that represent GFWC members on the national scale. The board of directors consists of the region presidents, state presidents, state directors and junior clubs, committee chairmen and committee members and special appointments,” she said. The local club is part of the Great Lakes Region, and Ohio has five districts, with the Wintersville club part of the Southeast District. 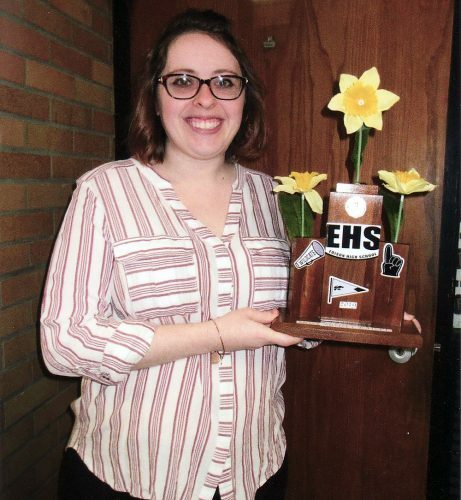 In new business, the club voted to donate $100 to the Steubenville Rotary Club’s Women’s Wellness Day on May 11 at Eastern Gateway Community College. A $100 donation to the United Way of Jefferson County also was made.